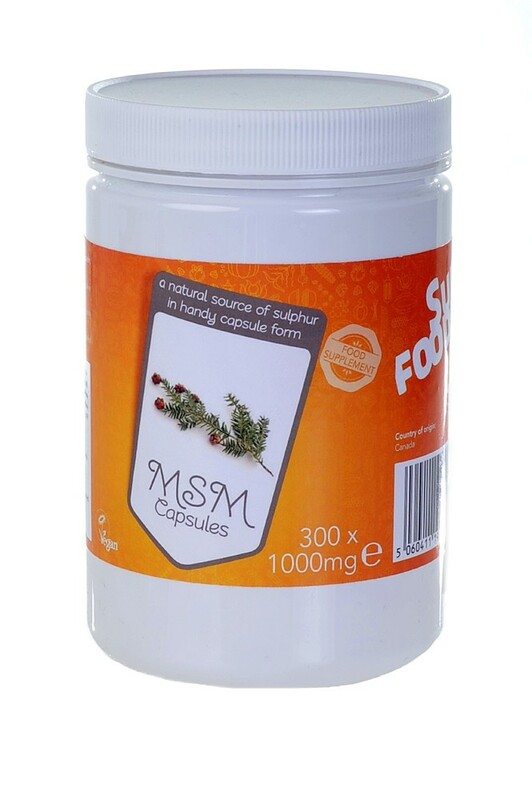 In 300 vegicaps (1000mg each), (Total 300g MSM per bottle). 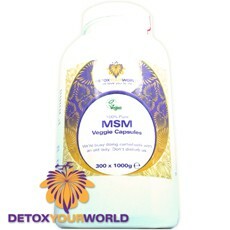 MSM is a naturally-occuring form of dietary sulphur found in fresh raw foods that are involved in the cycle of rain. Our MSM is a raw white crystaline powder. MSM is volatile and destroyed by cooking. It's loved by people who appreciate great skin hair and nails. Flexible people such as yogis, yoginis and athletes also love MSM. 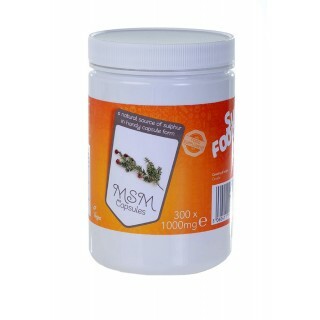 MSM works particularly well in conjunction with vitamin-C rich foods. 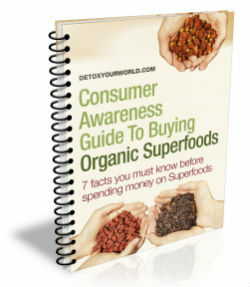 MSM is deficient in foods grown in greenhouses or in foods grown through irrigation. In the body,MSM has effects that the UK law will not allow us to talk about. Please do your own research on the internet before deciding whether this product is going to be wonderful for you. How do I use MSM? been using this to strengthen my bones as i am always in the gym or taking part in sport activity. Everytime i Take these, Im as good as new. Great product and great supplement to include in anyones diet. Great product, love the easy to take capsules, been taking it for a while now had a great effect on my hair, skin and nails.